Over the years, we have installed countless S&S carburetors. It is always nice to start a job, opening up a box that contains a quality component that provides an excellent performance upgrade every time. 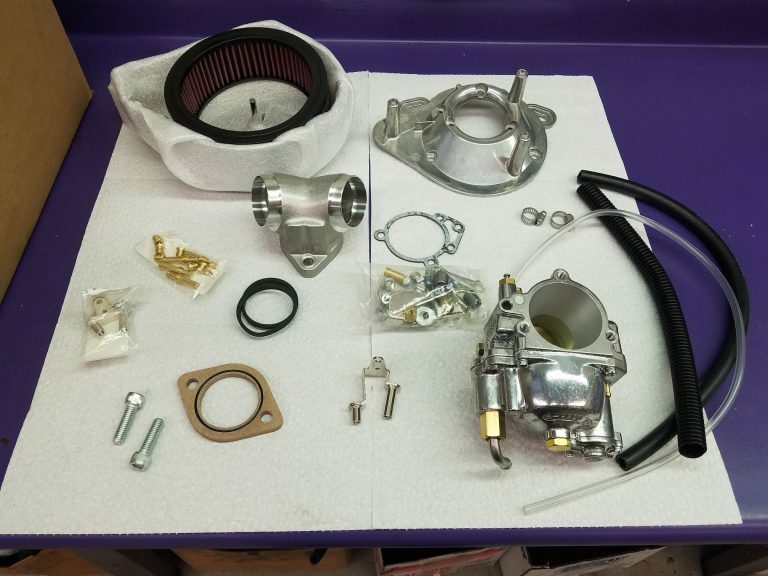 S&S Super E & G carburetor kits contain everything you need for a complete installation. The kit includes the correct size intake manifold for Harley Davidson engines with stock length cylinders. S&S carbs have four fuel delivery ports and increased air flow for better throttle response and more power. Recently, this 1987 Sportster was in the shop. 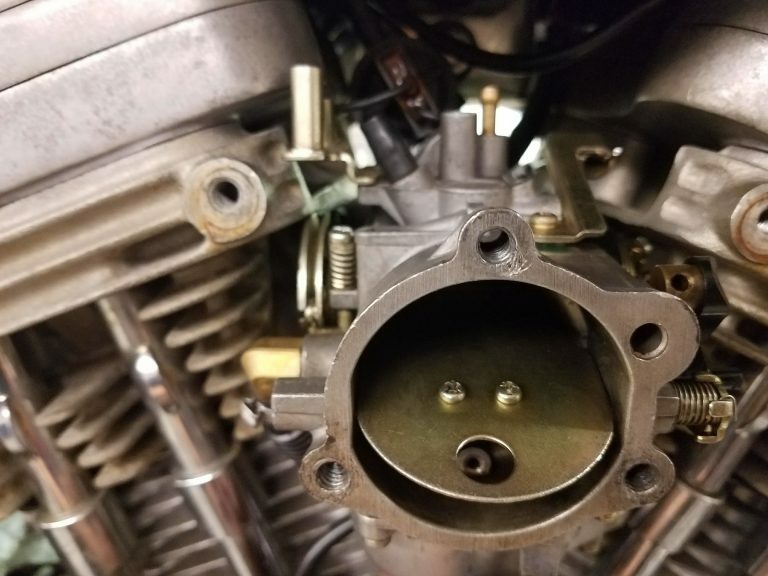 The bike had been sitting for five years and the customer explained that he had previously not been successful in getting the stock Bendix carburetor to perform correctly. 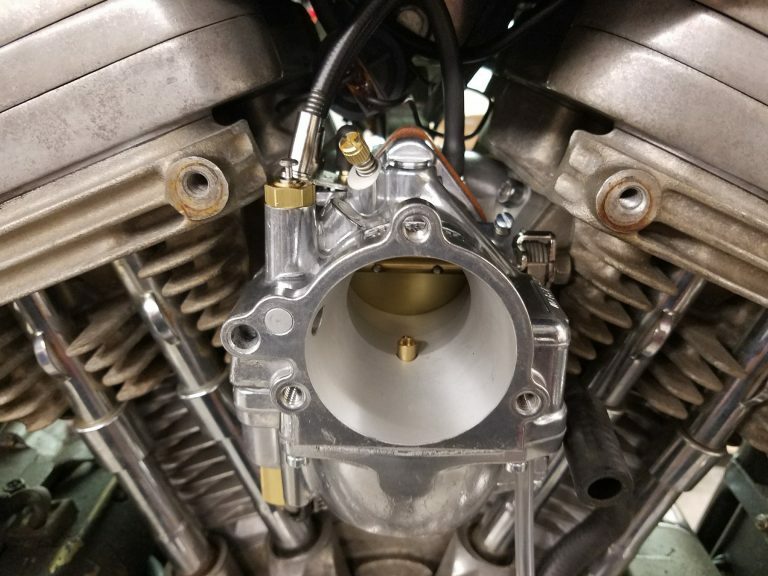 We gave him the option of having us give it a try (rebuild the stock, Bendix carburetor), or to replace the carburetor with an S&S carburetor assembly. He decided to spend his money wisely and go with a new S&S carburetor. We started by draining the old, stale gas from the fuel tank. The tank was then removed from the motorcycle. We removed and cleaned the fuel valve and grabbed a new fuel valve screen for reassembly. The fuel tank was then dunked and flushed with warm, soapy water, blown out with compressed air and then left to air dry. On the left side of this year XL, it is possible to remove the nylock style nut that secures the horn and ignition switch to the top motor mount. You can wrap the assembly with a clean rag and secure it out of the way for easy access between the cylinders. The stock carburetor and intake are removed and the intake sealing surfaces on the front and rear heads are cleaned up with a scotch pad. The new S&S carb is effortless to install. There is no need to set float height. 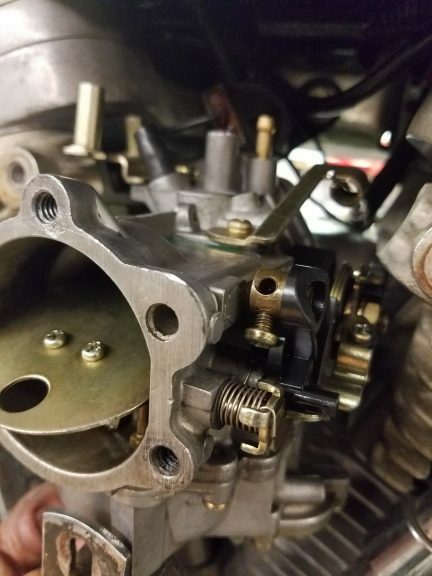 The carb is boxed already jetted perfectly or close to what you will need for the year/model the carb was ordered for (a variety of intermediate and main jets come with the kit). The carb comes already dialed in with initial settings to get you started. Then, setting mixture, accelerator pump and idle is easy. After a test ride, a final accelerator pump adjustment is made and hot idle is set. I have a 1980 FXS, it has been bored out some because of cylinder damage, a S&S super “G” carb., Dyna duel plug, single fire ignition. The bike seems to heat up and run lean after being ridden for 20-30 minutes. It pings at a certain throttle position, mostly from a full stop, first taking off. Other than the pinging, it runs really good. I’m thinking it may be the accelerator pump because it seems to ping during that position of the throttle. What are your thoughts? The motor is almost 40 yrs old. You can’t rule out the possibility of a valve issue. Make sure that the ignition is correctly timed. Make sure your pushrods are correctly adjusted. Make sure that you are using 93 octane gas.